Let’s start this edition with the college game, where we have three new arenas. The first two are small, on-campus facilities that look really nice. 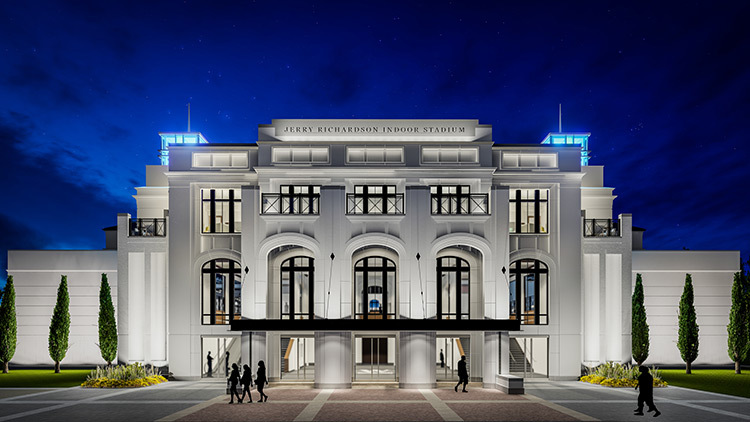 In Spartanburg, Wofford College debuted the Jerry Richardson Indoor Stadium with a game against South Carolina a few weeks ago. Pictures both inside and out are beautiful and I love how they changed it up with the name and went with “Indoor Stadium”. Too bad, it has a 3,400 seat capacity as that falls just short of making it onto The List. One that did make it by having 500 more seats is the Wellness and Events Center over at NJIT. This arena is less than an hour from my home, so I’m looking forward to making it to Newark in the coming years to visit. The Highlanders continue to toil in their out of place conference (Atlantic Sun) and each time I hear their four-letter acronym, I get mad that they are not a logical 10th member of the America East or 12th member of the MAAC. Finally, we have DePaul, who moved into Wintrust Arena. This new building gives Chicago yet another arena with 10,000+ (I believe that is four in the metro area) and it is located in McCormick Place, not far from the downtown core. It is also closer to DePaul’s campus and a much better location then their previous home in Rosemont. Speaking of Allstate Arena, Northwestern will actually take up residence there for this season as Welsh-Ryan Arena is redone in a renovation that is badly needed. They are not alone as Cincinnati and Portland State move to temporary digs while their buildings get redone. Also, Robert Morris is opening a new arena in 2019 and it is going in the same place where the Sewall stands stood. It’s now torn down and RMU will share PPG Paints Arena and the AJ Palumbo Center. 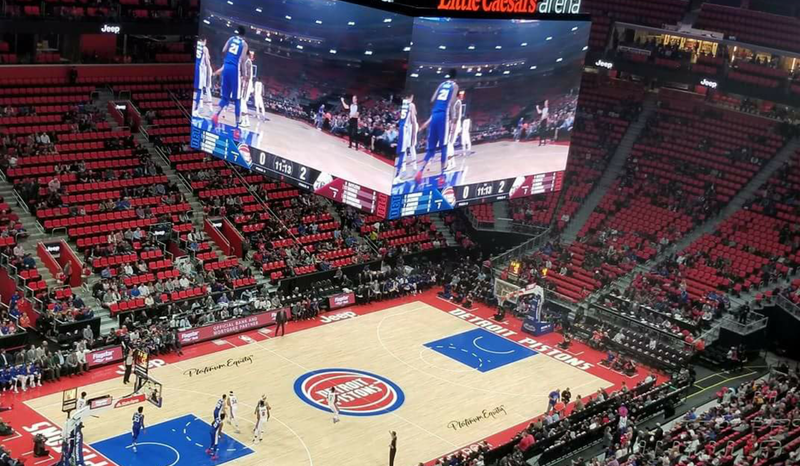 In the Professional ranks, the biggest story in the offseason is the odd, hasty move that the Pistons made in leaving the Palace in Auburn Hills to the Red Wings new arena. I certainly understand the suburb to city move along with the luxuries of being in a new building, but the whole thing seemed so odd in that Little Caesars Arena was supposed to be just a hockey/Wings building. They may be racking in the dough, but they have some horribly embarrasing games with tons of empty seats. Other noteworthy arena news in the league include renovations that cost more than the original construction cost of the building. Minnesota, Utah and Atlanta have either completed or are ongoing with what they call “necessary” changes. Down a level, we have the first professional league in the US and Canada to have a sponsor name as the NBA Development League (D-League) has become the G-League with the G standing for Gatorade. Not to be outdone is a team being commercialized as the Agua Caliente Clippers, representing the Native American tribe using the name to promote their Casino Resorts. Wow, we have sunk to a new low. That team will play in Ontario, CA and while baseball trends to become more “local” in their minor leagues, I can’t imagine Ontario will feel any love with their team. A couple of other new franchises include the Lakeland Magic, who will use the RP Funding Center, a big complex that contains Jenkins Arena. The Memphis Hustle are going to play in nearby Southhaven, MS and the pre-existing Landers Center. Finally, Oshkosh is building a brand new building (Menominee Nation Arena) and that is very close to opening as it becomes home to the Wisconsin Herd. The LA team was re-branded to the South Bay Lakers and they will now play in the UCLA Health Training Center. That feels like an odd step back for the league as the training center holds less than 1,000. Finally, the renovated Nassau Coliseum is back on The List as they are now home to the Long Island Nets. Curious to see if they will eventually host hockey again, whether it is the ECHL, AHL or….wait for it….please, please, please….NHL? ← Michigan Wrap-Up, plus Flint is Fun!